Golfers are plagued by all kinds of unnecessary, unfortunate and sometimes downright irritating habits. So forget giving up chocolate in this season of repentance and self-examination and quit some of your golf quirks instead. 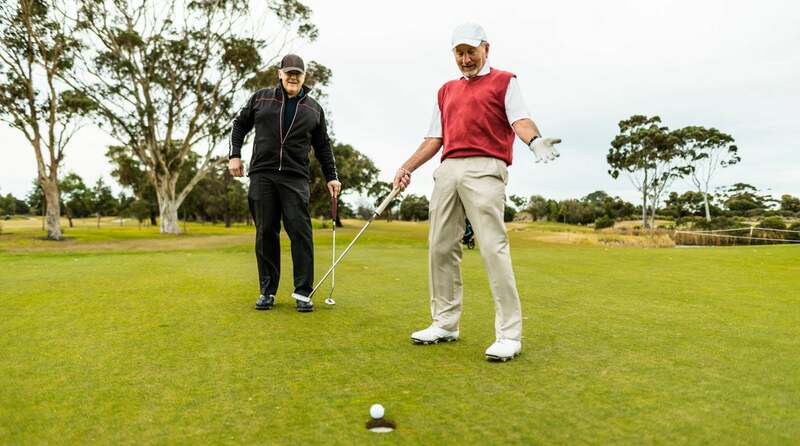 If you can abstain from these 11 faux pas over the next 40 days, you won’t just become a better golfer: you’ll be a happier one, too. Bryson DeChambeau putts with the flagstick in during the first round of the Dubai Desert Classic. Why not give it a try yourself? You can’t control bad shots, but you can control bad decisions. Two-thirty-five over a lake into a stiff breeze to a tucked pin? Eight-iron-wedge beats a three-wood into the drink every time. This one’s for the pros: their nicey-nicey practice of neglecting to mark their balls when their opponents chip onto the green has become a scourge on the game. What’s next on Tour? Mulligans? Sure, it’s fun and fast-paced and full of fiery observations. It’s also exhausting. Take a break from the take machine and let your golf brain start thinking for itself again. If Bryson is okay with leaving the stick in the hole, you should be, too. (You might have heard, dude does his homework.) So embrace the new rule. You might make more putts and you’ll definitely help speed up play. Your home course shouldn’t look like Augusta National (unless, of course, you’re a lucky SOB and it is Augusta National). Hell, if more of us were more accepting of the wild, woolly and less-costly-to-maintain conditions you’ll find in GB&I, more of us could actually afford club memberships. We get it! You’re excited!! So are we!!! The Masters is only 744 hours away!!!! But try to resist hollering from the mountaintops every time you hear tinkly piano music or the dulcet tones of one James William Nantz III. You can size up that double-breaking 25-footer from one angle or 10. Either way, you’re going to miss it. Psst…you’re not quite Tour ready, and that’s okay! So move up a set of tees, swap out your 3-iron for a hybrid (and maybe even your 4- and 5-iron, too) and stop cursing yourself for missing 10-footers (the best players in the world make only 40 percent from that distance). You’ll be amazed at how much more fun the game will become. C'mon, you don't really expect to make every 10-footer, do you?